Win a Kindle for you and one for a friend! Hurry, the giveaway ends on 5/22/12. The winner will be announced 5/24/12 on Judy’s blog! Enter Today - now through 5/22! Click on the picture below to find out how! Life is more than just a series of experiences. It is the people we meet along the way that make life more interesting and teach us the most important lessons. City dweller turned country pastor Alex Armstrong learns this first hand in Judy Baer’s Forever Hilltop. Forever Hilltop is a 2-in-1 book that includes Baer’s An Unlikely Blessing along with the previously unreleased sequel Surprising Grace. The charming and often hilarious Forever Hilltop series follows the adventures of protagonist Alex Armstrong as he settles into his role as a pastor of a Scandinavian community in rural North Dakota much like the one in which Baer grew up. While Alex is sometimes baffled by his parishioners and their colorful ways, he comes to appreciate their simple wisdom. 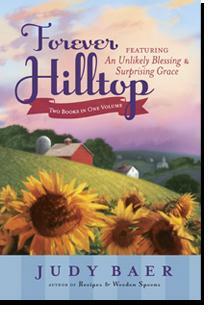 It may be a small town, but life in Hilltop Township is never dull! Q: Is there a “moral of the story” that you would like readers to walk away with? If so, what is it? There are many small messages and teachings, but not just a single big statement or moral that encompasses the entire book. I find life to be like that—the lessons learned over the years like the benefits of kindness, respect, sound judgment, faith, loyalty or honesty—come in bits and pieces. A little lesson here, a realization there, and eventually you have a big awareness about something. The Forever Hilltop books are gentle, but teach enduring lessons about how people should treat each other and live their lives. Q: What makes this series different than previous books and/or series? Surprising Grace and the Forever Hilltop series are very different from my previous books. 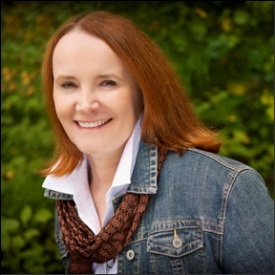 I’ve written romances, young adult books, non-fiction and woman’s fiction. These new books encompass an entire community and the interactions of many characters. I wouldn’t define it as a saga, but it is a story that chronicles the lives of many people and their deep interrelationships. Q: Would you say that God makes us uncomfortable or puts us in new circumstances to help us grow? God often allows us to be in new circumstances or relationships that stretch us and make us grow. He wants us to be more Christ-like in our everyday lives and often the people we meet or the situations in which we land are great tools for that. That’s what happens for the protagonist Alex Armstrong as he finds himself a fish out of water in Hilltop Township, a spot in the road in rural North Dakota. As died-in-the-wool city boy from Chicago, he’s stretched and forced to grow on a daily basis as he learns to love rural life and the people that inhabit it. Q: Was there a certain event in your life that you drew from in writing Alex’s story? I have a particular fondness for rural North Dakota since that’s where I grew up. What’s interesting, though, is that after people from many stations in life read the first book in the Hilltop series, An Unlikely Blessing, they, almost without fail said, “I grew up in a place like that,” or “I know those people, I lived with them!” I think the books hit chords that resonate with a lot of people—it’s about good but quirky people who are trying to do their best, often with surprising, and occasionally dismaying, results. One can learn lessons through fun and joy as well as trauma and sadness. All of this is incorporated in Surprising Grace. Learn more about the author and her books at www.judykbaer.com.